– Mike Kogge, KXLU’s Center Stage. 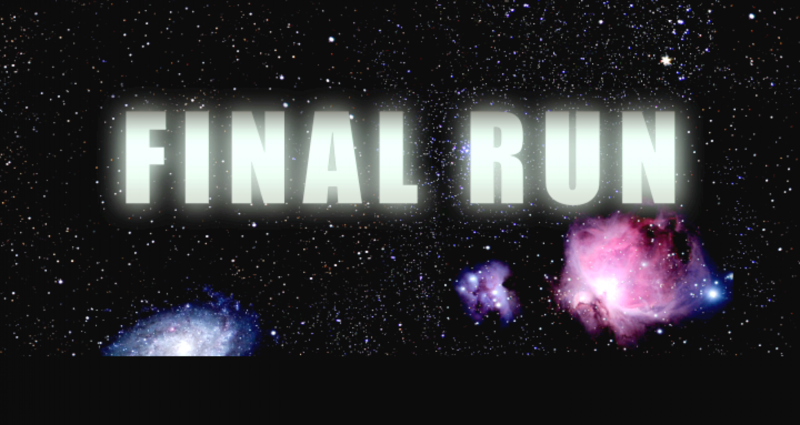 FINAL RUN is a dynamic science fiction short that takes place in the 22nd century. Having stripped Earth of its resources, mankind has pushed beyond the solar system for profit and survival. 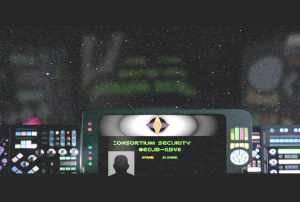 When over expansion leads to a collapse of the central government, the Consortium, a conglomerate with nearly unlimited financial and military power, attempts to restore order. 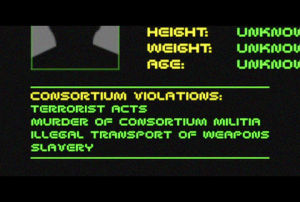 When the mercenary Sloane, one of the Consortium’s most wanted, is asked to undertake one last mission by a former employer, he finds himself embroiled in a deadly conflict. FINAL RUN is Ken Foley’s senior thesis project for Loyola Marymount University. 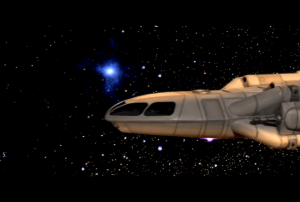 It combines strong characters and space-faring action with both classic and new effects techniques. It premiered at Shriekfest and was later chosen over hundreds of films as a finalist selection of the San Diego Comic Con by Hollywood Reporter Heat Vision columnist Borys Kit and Transformers producer Tom DeSantos. 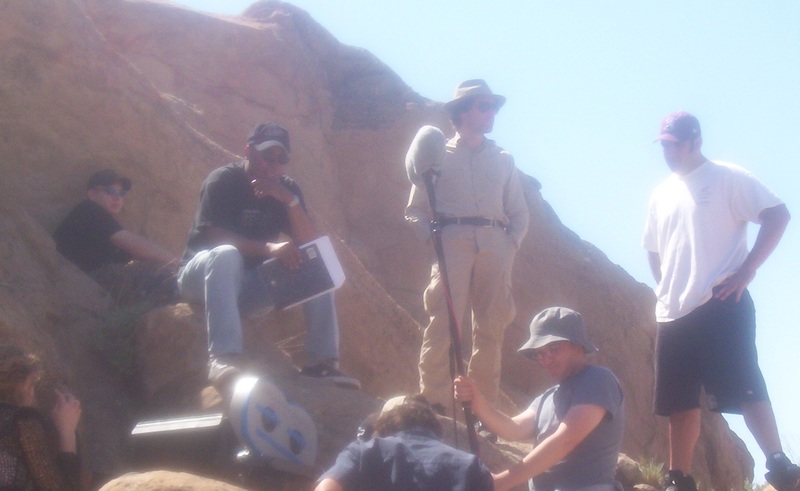 FINAL RUN was conceived by Ken Foley as a film for his senior thesis at Loyola Marymount University. While finishing up post on Ken’s previous student film project, DOMESTIC BLISS, he pitched producer Darin Kuhlmann a scenario about a mercenary in the future. Kuhlmann was intrigued and came on board immediately. Despite the fact that the actual class the film would be made for didn’t start for another eight months, they began work right away. 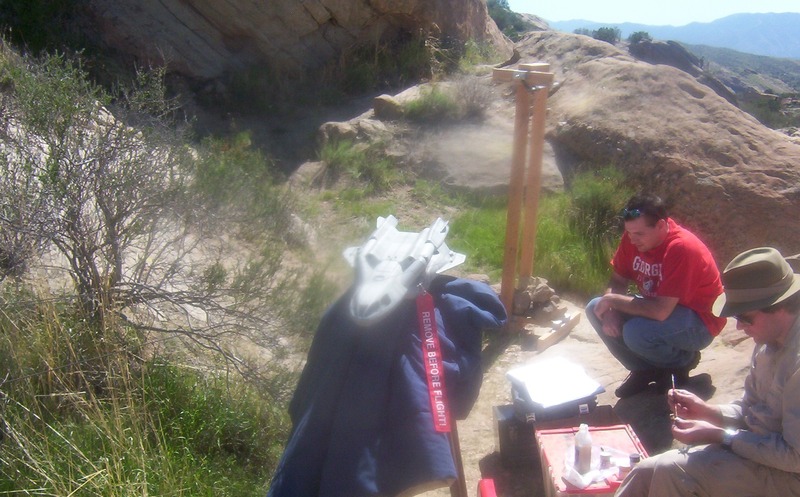 Because FINAL RUN was of the science fiction genre, Foley knew the project would not only require visual effects, but also unusual props, sets and locations. That meant planning everything out in as much detail as soon as possible. Before he’d even finished a first draft, Foley recruited his friend Bill Hawk as Visual Effects Supervisor…and Production Designer…and Prop Maker. 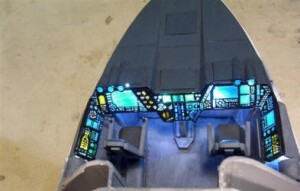 Hawk had experience in all the 3 fields and had built numerous miniatures both professionally and as a hobby. As Foley refined the script, Hawk sent sketches of the ships, miniatures, and props. 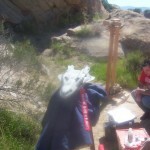 With the director’s approval he began construction of the miniatures (see FX), as well as maquettes for the sets. By the time February rolled around, film class had begun, casting had started, and the script was locked down. 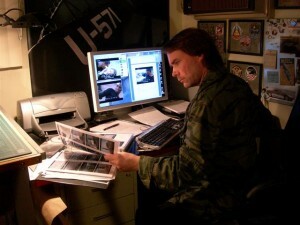 While Hawk fabricated the props, Foley spent several days with storyboard artist Len Morganti breaking down the complex space battle and interior sequences. After nearly a year of preproduction, FINAL RUN finally went before the cameras on location. That first weekend consisted of 1st and 2nd units as well as Bill Hawk shooting the Aurora miniature on his custom built wire rig. Next up was the ship’s interior. 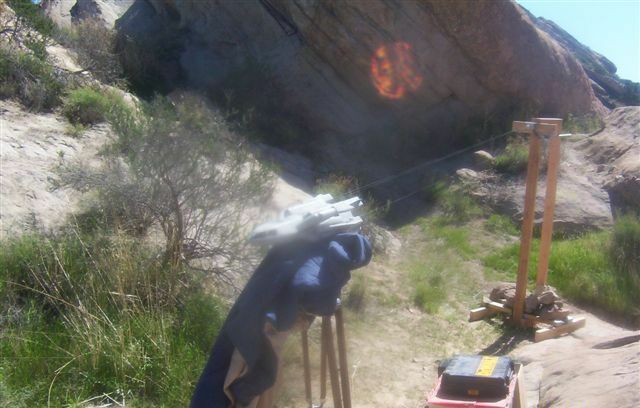 The set construction for Aurora’s interior had originally been planned to start construction a week before shooting. But when another student film went over schedule, that became impossible. 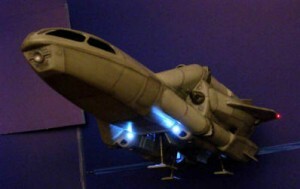 Designer Hawk would now have only four days before shooting to build the ships cockpit, control panels, and cargo hold. 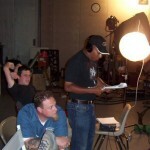 He did, and that weekend the production was able to shoot on the Loyola soundstage as planned. 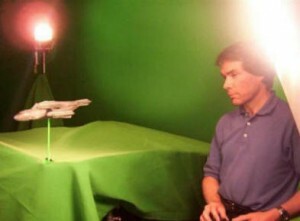 After that, DP Matlosz and Hawk spent 18 hours shooting the space ship miniatures on the university’s green screen TV stage using Matlosz’s oft referred to “poor man’s motion control”. (See FX – Link). 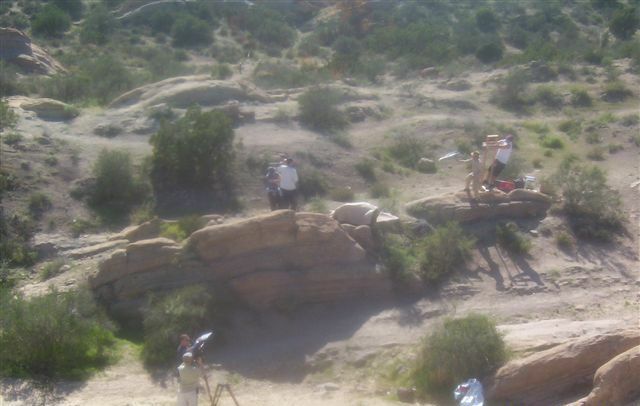 The production then returned to Vasquez Rocks for one frenzied final weekend of shooting both live action and effects before finally wrapping. Because FINAL RUN was a science fiction script, Foley knew that visual effects would play a heavy part in the story. Although he would try to keep the number of effects to a minimum, getting them on film would be a daunting task. 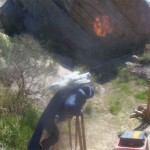 FINAL RUN also required the creation of spaceships, props, and the like. Before the script was even started, Foley contacted his friend Bill Hawk to be the film’s visual FX supervisor. Hawk not only had previous experience as a prop maker, and conceptual artist, but also as a model builder. 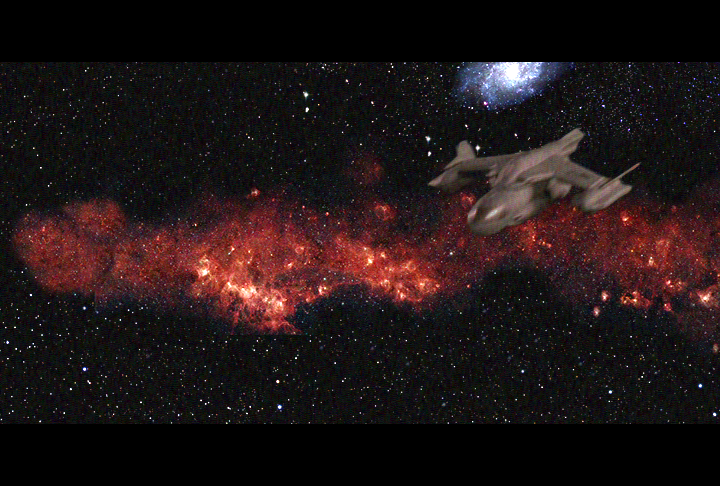 It was quickly decided to use miniatures for spaceships instead of rendering them via CG. 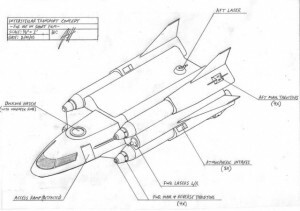 Hawk swiftly set about producing sketches of Sloane’s ship Aurora and the other spacecraft based on Foley’s input. 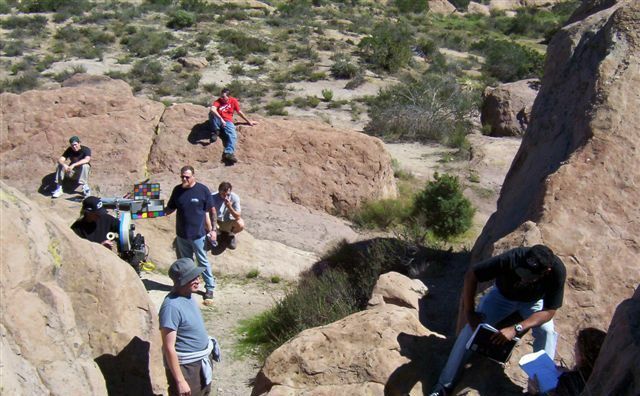 Several months into pre production the film’s production designer bowed out due to scheduling conflicts. For Foley, giving Hawk the job was a no-brainer. “On most films you have to worry about the communication between the art department, effects department, and props,” said Foley. 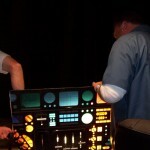 “Having Bill be all three just meant that the designs would look like they did on the drawing board, as well as being practically built.” Being all three, Hawk would spend the next nine months frantically working on those aspects of the film (in addition to his full time job at a prop shop). Hawk first concentrated on Aurora. After an initial suggested design for the ship was rejected for being too advanced-looking, he finalized the design. When time constraints prevented the accepted Privateer design from being built, a model of that rejected craft, made by Hawk as a personal project, wound up being used as the Privateer ship in the film. Fabrication of the 1:32 scale Aurora miniature stretched out over a couple of months of Hawk’s variable spare time, but he made sure that it was mostly completed before he turned his attention to the other items that had to be built. 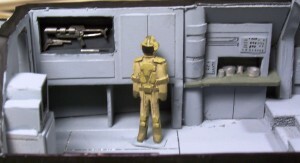 Being the production designer, Hawk was able to make sure the sets and miniatures accurately matched up. 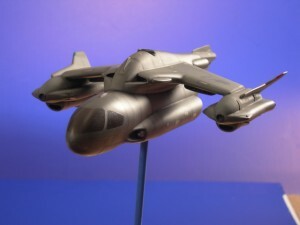 The Aurora miniature was rigged with working engine lights as well as spring-loaded landing gear, running and landing lights, air lines running to the vertical thrusters, and a detailed cockpit with illuminated control panels. – Howard Hughes (Kerry O’Quinn) in The Rocketeer. 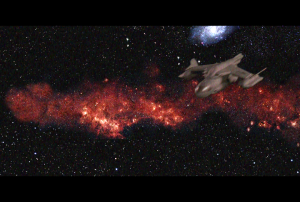 For cost and convenience, Hawk chose to do as many effects in camera as possible. 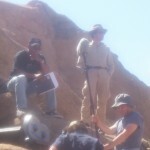 For the crash and take off sequences, this meant traveling on location to Vasquez Rocks with the main unit. There Hawk assembled a compact wire rig that he had custom designed. The rig consisted of wires strung between two 6 foot tall towers that “flew” the Aurora miniature over a span of up to 40 feet. 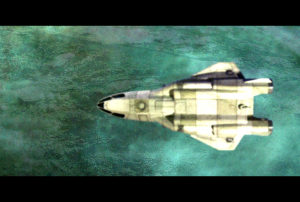 This enabled Hawk and his crew to get dynamic shots. 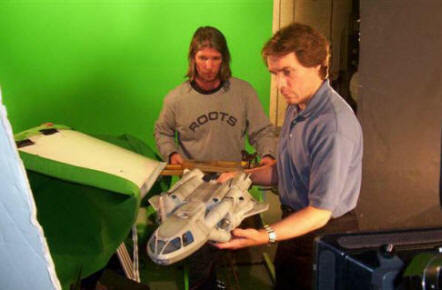 For space bound FX sequences, DP Jim Matlosz and Hawk shot the two spaceship models against green screen on Loyola Marymount’s TV stage. Using Len Morganti’s storyboards as reference, the two utilized what Matlosz refers to as a “poor man’s motion control rig”. But due to time and technical limitations, they were able to capture only a handful of shots of each miniature. 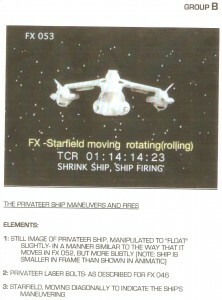 For the exterior spaceship FX shots that simply couldn’t be done for the initial shoot, the original plan was to “cheat” by using photographic cut-outs of the ships as stand-ins for the miniatures. They would only be able to be shot in basic two dimensional movement, but it was better than nothing. Then they caught a lucky break. 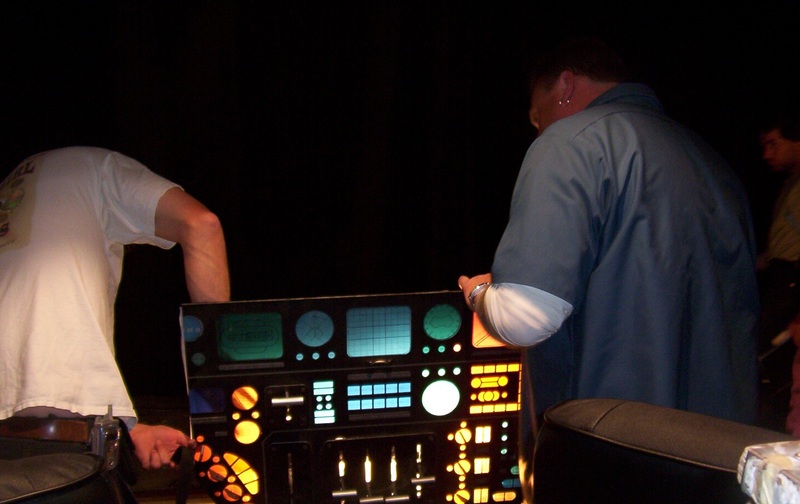 DP Jim Matlosz had talked with people at Image G, a special effects facility that had worked on television shows such as STAR TREK: THE NEXT GENERATION and STAR TREK: DEEP SPACE NINE. “Jim sold the guys at Image G on the idea of an experiment using a high-end digital still camera (Jim’s own camera, in fact) to capture mo-co (motion control) shots,” Hawk explains. “By using long exposures to get a motion blur, the individual still images looked natural, and they became film frames in effect, creating a moving image when they were strung together.” The Image G shoot netted six individual spaceship elements, for certain key shots, which were far superior to what could have been accomplished with the “cheating” method. 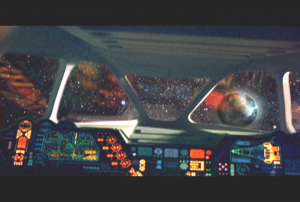 As a result, the filmmakers were able to realize the elaborate sequences they’d originally envisioned. The newer filmed elements, combined with the original footage and a selected use of stills, would enhance the scope of the production. However, with the number of FX shots rapidly growing, even lists and numbers weren’t proving to be enough to keep track of everything. Supervisor Hawk’s solution was elegantly simple. 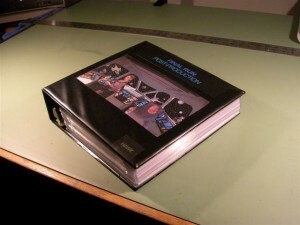 He painstakingly put together a FINAL RUN effects “bible” – a large binder where every single shot that had an effect was catalogued and the elements broken down and described in detail. This way the various effects artists knew what was required for each shot they were working on. 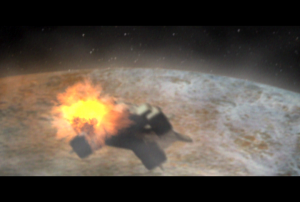 Meanwhile, editor/compositor Joe Kornbrodt and Hawk went about building “animatics” – temporary representations of effects that would allow the filmmakers to preview an effects sequence as to how it might look. Using this and Hawk’s notebook, an “element reel” was created – an assemblage of the individual effects that had been selected for use in any given shot. This was necessary to ensure that the desired takes or still images were utilized and to make things easier for the compositors. The result was nearly 100 visual effects shots* integrating a variety of both old and new effects processes to tell the story of FINAL RUN. *Which is about 90 effects shots too many, if you ask producer Darin Kuhlmann. 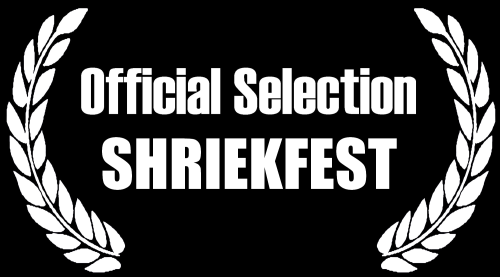 My initial reason for choosing this genre was because it was the one that initially inspired me to become a filmmaker. Like most young boys, I thought anything with spaceships, lasers and explosions was frickin’ cool. But as I got older, something else happened. I noticed the science fiction films that stayed with me were those where you could strip away all the stereotypical genre trappings (ships, laser guns, aliens, time travel, etc.) and the story would still be relevant and interesting. “While I had absolutely no interest in making a movie about spaceships, I did have an interest about making a movie about the people on those ships and the lives they led.” – writer/director Nicholas Meyer on what attracted him to STAR TREK II: WRATH OF KHAN. I made FINAL RUN because I have an interest in both. Science fiction is one of the few genres where one can explore relevant issues in an endlessly unique myriad of ways while simultaneously entertaining your audience. The other personal allure of this genre was the fact I could literally create my own world. This means I got to dream up everything from the future history of humanity, to what type of ships and weapons my characters used. Yes that’s more demanding creatively and financially for a filmmaker and crew than a “simple” (if such a term exists in moviemaking) drama. 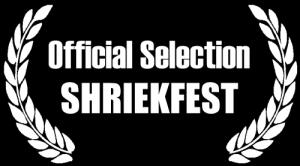 But the unique opportunity to apply the genre filmmaking techniques I’d read about over the years to my own story was simply too great to pass up. Like many ambitious endeavors, the final product is not the work of just one person. 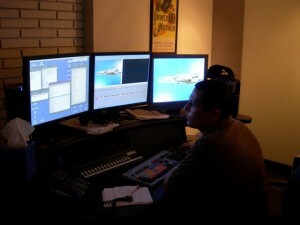 From my instructors at Loyola, to my production and post production crew, I have many people to thank. 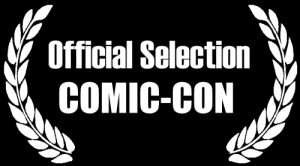 First, I never would have been able to even consider making a film as ambitious as FINAL RUN if it weren’t for Darin Kuhlmann and Bill Hawk. From the film’s initial inception, Darin and Bill were essential in getting this project realized. I simply could not have done it without them. I must also thank Stuart Cropley, whose tremendous post production talents enabled me to finish FINAL RUN properly; Webmaster Will Pitts for putting together this website; all my friends, family, mentors, and people who selflessly volunteered their time and talents, and Paul Haggar. Finally, thank you to Harve Bennett, who not only got the ball rolling all those years ago, but also selflessly shared both his time and wisdom.